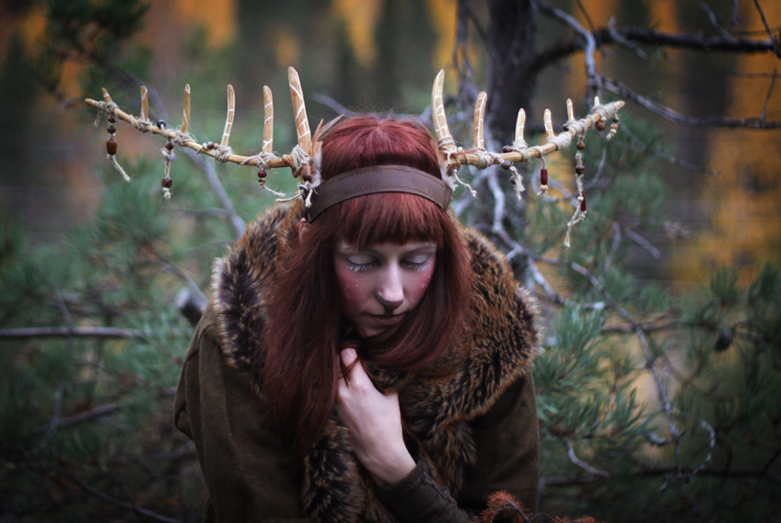 The extraordinary, fantastical creations of multi-talented Swedish Craftswoman Caroline Eklund (Nymla) are inspired by legends and history, fantasy, nature and Scandinavian folklore. If I find myself under the influence of a depression, I spend a few moments browsing through her works. 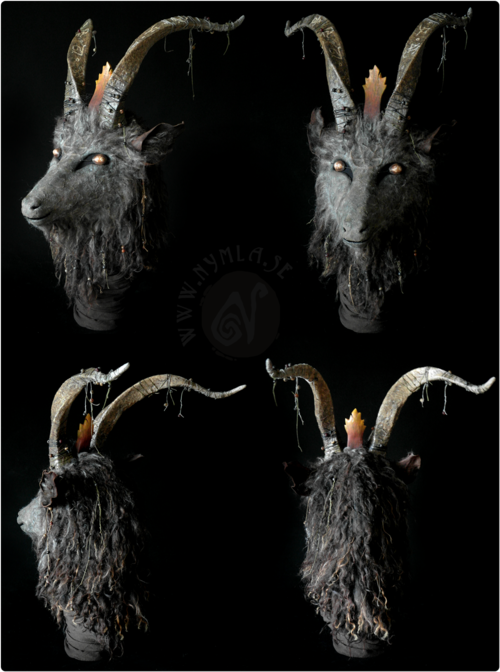 Her portfolio of trolls and elaborate masks, fantastical costumes and props helps to dislodge my heavy feelings of despair almost immediately, as I find myself drifting away to dark, thick forests, where moss coated rocks wait away the centuries, and provide warm shelter for the hidden folk. 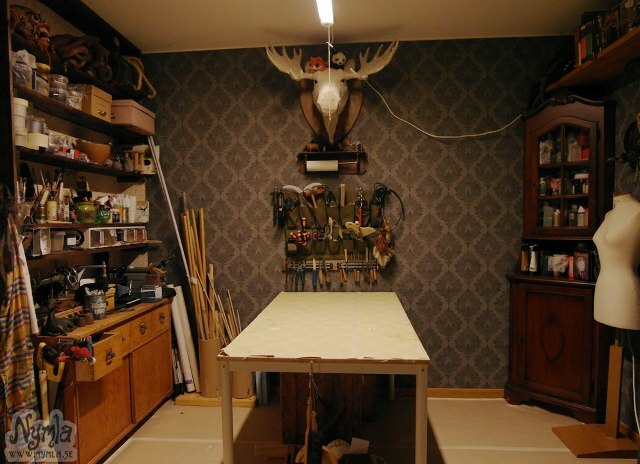 In your role as a freelance craftswoman, you create an amazingly wide variety of artistic artefacts, clothing, masks and props. How did you begin freelance crafting, how long did it take before it became your full time occupation and what would you say is the greatest thing about doing what you do? And the name Nymla – why was this perfect for your business? I have always been interested in creating things in some way or another and I have learned a lot by trial and error but I have also been studying a lot and while going from one art related school to the other, as well as a few “regular” jobs, I was trying to figure out what I wanted my future occupation to be. I came to the conclusion that I needed to start some kind of business myself to be able to do what I want. 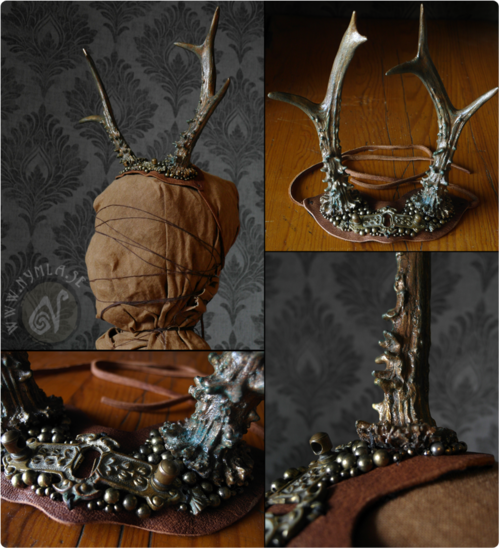 I moved to northern Sweden in 2011 to study propmaking and after the two years of studies I felt it was the right time to start my business, I didn’t know what else to do next and I also had grown into feeling more confident about my own artistic path, so I just had to go for it. I managed to get a small grant to start my business and I began working with it full time, now a little over a year ago, then 26 years old. It is hard work being self employed in an artistic line of business but it will just have to work out somehow because this is what I want to do. For me the positive definitely outweighs the negative. The best part of it is that I get to work with what I love. I get to explore my own interests and imagination, turn it into art and make people happy. I am really lucky that people actually wants to spend their hard-earned money on my creations, that really humbles me! The name Nymla I actually used for the first time as a name for a World of Warcraft character many years ago (I pretty much always played female trolls, love them trolls). I’m not sure how it came to me but I found it kind of magical. After that I started using that name everywhere and it just stayed with me and it felt natural to keep it as my business name, it just felt like me. The word itself is sort of mysterious to me. You might wonder if it is a name, a place or a creature…? Maybe I will write down the story of Nymla one day. When you have a new idea, does it need to be realised immediately, or do you usually let ideas simmer for a while? Due to the array of creations you bring into being, do you find that you often need to multitask or do you always finish working on one project before moving onto the next? When I have a new idea I want to get on creating it RIGHT AWAY! Preferably a moment ago. But I also love to plan things, organize and ponder on the best way to make something. If it’s an awesome idea I get really excited about, I will become devoured in that creative bubble for an intense period and after some time I might find myself in a slope before I get into the game again – it can be a bit of a roller coaster. I have been struggling a bit with finding my own “trademark” and not change materials and technique with every new idea I have. But now I feel like I am closing in on what I want to focus on with the folklore, fantasy and creatures. So with that more focused target in mind I guess I have gotten a bit better at letting ideas simmer and develop more before I dive straight into making them. Often I make several things at once in a batch, but if I am making a larger piece I might focus on that one before I move on. Although in general it is necessary to have several projects going on at the same time, if I for example am making something out of my paper clay since that can take days or hours to dry. Then I need something else to do while I wait. Your inspiration stems from a range of subjects, but folklore, nature and fantasy are predominant themes. In what ways do your surroundings in Northern Sweden inspire your work? And how central is nature to you on a personal level? I feel like living in northern Sweden – here also called Norrland – has given me lots of inspiration. Norrland is beautiful and there is less people and a slower pace. Especially since I live in a quite small city, it feels like I am closer to the big forests and further away from the buzz, crowds of people and all that. To me the forests in Norrland feel like they are magical, deep, untouched and ancient. If that is the truth or just my idea of it I don’t know, but maybe it doesn’t matter if it’s just in my head. I think that all the horrible things happening in the world right now, like war and pollution, make me and many others want to escape to nature and some unknown magical world. I also feel the need to create less garbage and would like to be more self-sufficient. I would love to be able to create all of my products using organic degradable materials and ship my items abroad with transportation that does not affect the environment too much, but that is not possible right now. Hopefully in the future – I’ll keep working towards it! Right now I at least plan on using more ecological products for everything I make. I am utterly infatuated with your Nordic trolls, as are thousands of others across the world. 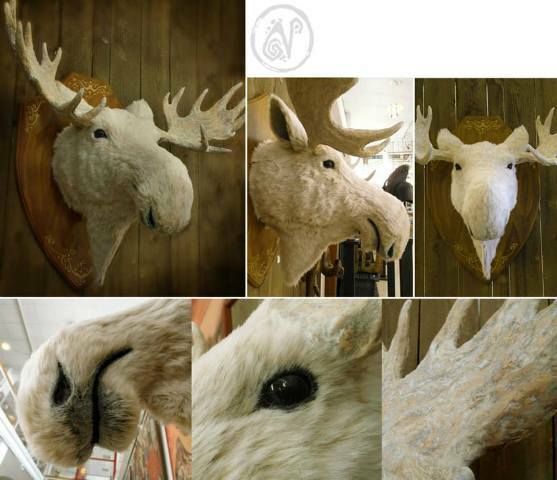 Can you talk us through the process of making one of these delightful creatures? I am also curious to know which artists have provided fuel for your creative fire over the years? The forest trolls have been made with a few different techniques so far but they all start with an idea, maybe about a specific troll or character I want to make or a setting that plops up in my head. I will start with sculpting a head for the troll using sculpey clay, which I then make a mold of, using silicone. I use this mold to cast copies of the head in resin (plastic). It would take me too long to sculpt each individual head from the beginning and also the resin I use is more durable than for example sculpey clay. When I have a copy of the troll head I will fix any imperfections in the cast, sand it if needed and spray it with a primer. 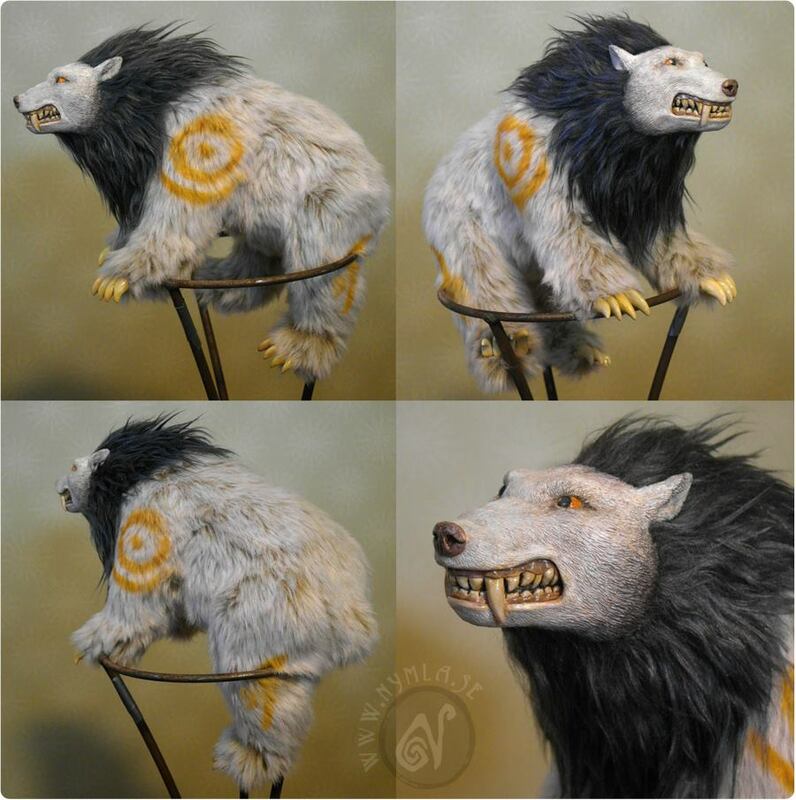 Then I will make the body for the troll, using a pattern I sew the body with 100% wool fabrics. I fill the body with rice to make it soft and squishy and add the leather patch with my stamped logo on to the bottom. I will needle felt on details with loose wool to the body and hand sew a tail with a piece of leather which will also be filled with a bit of rice. 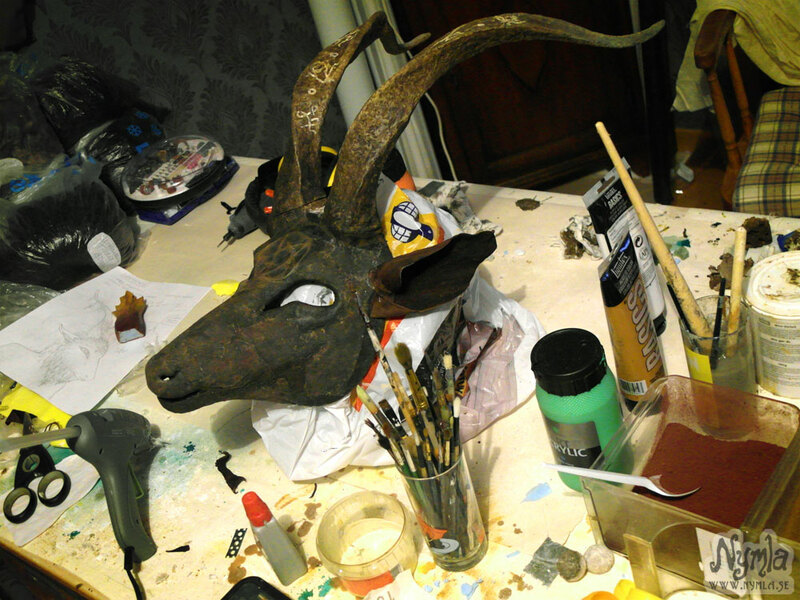 After this I will paint the troll head with colours that suits the body, using an airbrush and paintbrushes, after that spraying it with a clear varnish. 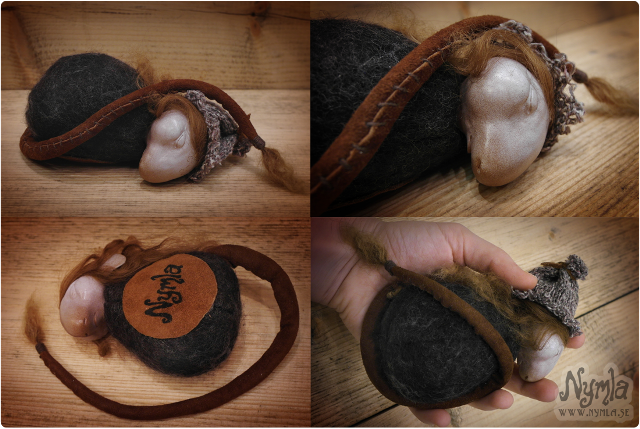 I will also make some hair for the troll, using wool I can give it loose hair or felt dreads for example. Now I can add any details, like braid the hair, add beads or a hat etc. If I didn’t have a clear idea and name for the character from the beginning it will grow on me while I work on it and I can see the trolls personality coming through with every choice I make. Then I will choose a fitting name for the troll creature. John Bauer can not go unmentioned when talking about inspiring artists. But mostly I find awesome artists on the internet while spending time on sites like DeviantArt, Pinterest, Instagram and Tumblr. I admire and follow many artists within a wide range of trades and the ones that keep grabbing my attention are the ones that constantly tries to improve their work and come up with new ideas within their trade, they inspire me to strive for that myself. I especially love finding illustrations that have the same kind of feeling or influences that I want to portray with my own creations, since that is a medium that I myself do not usually work with I will have to take this inspiration and make it into my own and find my own way – I would not want to copy anyone. Also I am not very great at painting or drawing myself so I enjoy watching others do that and feel totally jealous. Are you able to talk us through your working day? Do you have a strict routine? Is it important for you to switch off from your work, or do you find that you don’t want or need to switch off? I have a studio that I built/arranged in my apartment, so I work from home. I can be sort of a lone wolf so it suits me to work from home, though it can still get a bit too lonely so it’s really nice to work on projects at other studios from time to time, as well as visit conventions and markets with lots of interesting people. When I work from home I usually get up around 7 in the morning, getting up early helps me feel like I am a productive and excellent human being. Although I do have periods when I instead feel the need for late night tinkering. I start my day by the computer with a cup of blueberry tea, answering e-mails and messages on social media sites, or answering questions for an interview for example. And then the rest of the day the work really varies a lot, depending on if I am working on some custom order, creating things for a market or the Etsy shop, photographing products, planning new products and ideas, have orders I need to ship out or maybe if it’s at the end of the month when I do my book keeping. How long I work also depends on how much I have to do, I try to work 8 hours a day but I often work longer, especially if I have a deadline. I know many artists in real life and follow many online and it seems that anyone working in a creative field usually is expected to work tirelessly 24/7, often also for free or very little compensation, because it is their passion. I just don’t think this works for me and I believe it’s the same for most. I am very grateful for the support I get to be able to do this and I have periods when I do want to work 24/7, but I don’t want to work until I’m burnt out and I do need time off from work. I think all of us artists should strive to change this, demand more and not be afraid to show that we too have struggles sometimes even though we get to have our passion as our livelihood. At the start of my business, now a bit over one year ago, I felt that I had to spend pretty much all my time working for it to work out, and at the same time I enjoyed it very much so I didn’t feel the need to switch off. This pressure led to me being very stressed and feel a lot of anxiety and also be more disconnected from the people close to me. I still realise that I have to work hard if I want to do this, but now I am striving to work regular working hours as much as I can so that I find more time also for myself and this has improved a lot since the new year. Now that my hobby has turned into my job I only create things for other people, and believe me I love doing that, but I am trying to find opportunities to be creative just for myself from time to time, and make things just because I want to, with no pressure. Right now I am needlebinding a beanie. 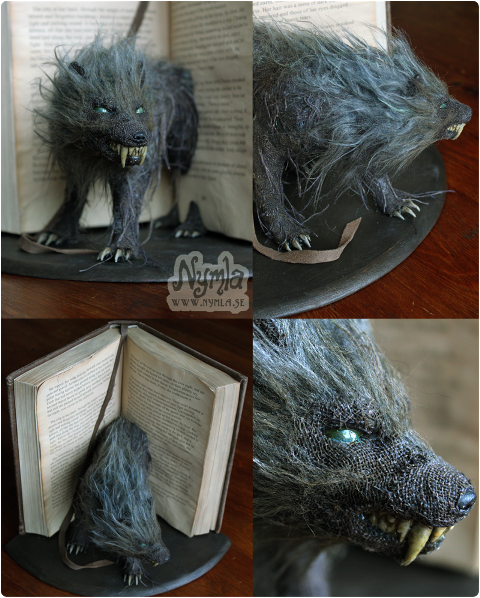 As well as sculptures, props and costumes, you also make handcrafted books. What inspired you to start this endeavour with paper, and are you one of these people who relishes using a notebook? I do use notebooks but more often I use sketchbooks, I have a bunch of them and they are filled with weird sketches and notes, I’m not great at drawing but I use it just to remember all my ideas and not lose the image I have in my head of the final product. 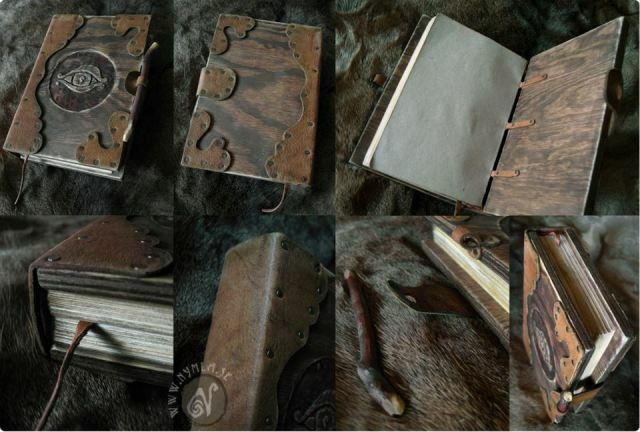 I started with book binding when I moved to another city to study leatherwork for half a year. At the same school there was also an art class which my roommate at the time was taking. We found out there was a book binding society just next to the school so we both took some night classes there. I find myself being drawn to crafts that have a bit of history to them, like book binding. I find book binding kind of relaxing and I can combine it with leatherworking and other techniques and materials that I enjoy. Which authors are you enjoying at the moment, and which books played an important role in helping you to get to where you are with Nymla today? I used to read a lot more books before than I do nowadays, although lately I have been listening to more audio books while I work (I’d love recommendations for good audio books, but I am a bit picky with narrators). An actual physical book I read recently was Stallo by Stefan Spjut (I think this book can be found in English also). This book is set in northern Sweden and follows a story where children have been abducted by some kind of troll beings from Sami mythology, called stallo. I recommend it, it’s quite creepy. Then there is of course the Harry Potter books, I think I read the first two books when they were new (gosh that is so long ago!) and then got to read pretty much one new book every year, me being about the same age as the characters in the books while I got to follow their adventures. 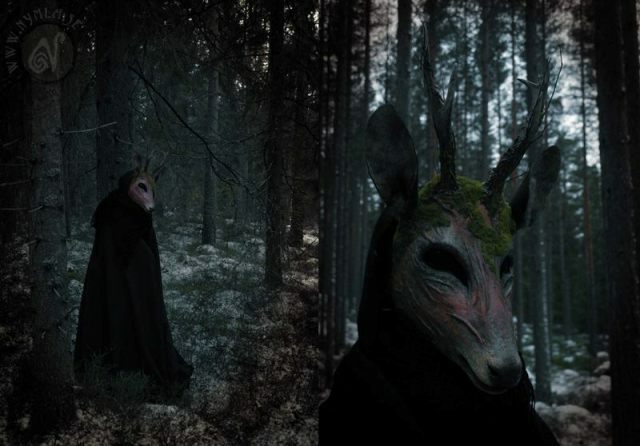 Another book that I just love is the novel Urminnes Tecken by Kerstin Ekman (not translated to English, but to the other Nordic languages) which is set in a secret world in a forest amongst animals and supernatural beings and the human world that passes through or intrudes upon their dimension. I should read it again since it was so long ago I first read it, as well as her other books. I imagine that it is easy to become attached to your creations. Have you ever found it difficult to part with something that you have made? Yes I have! 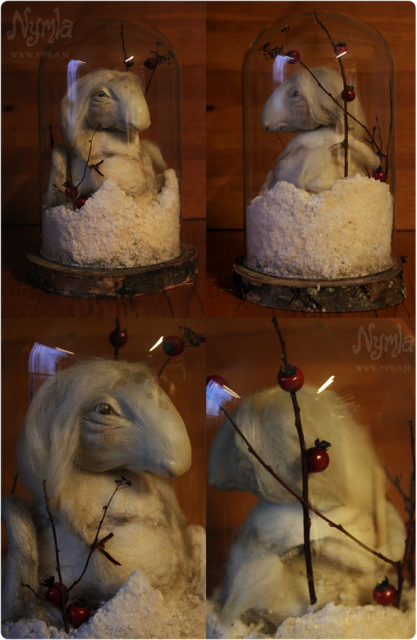 But I think I had more difficulties with that before, now I usually just get so happy when someone wants to buy one of my trolls for example, it feels good to give them a new home and make the new owner happy. And also I have no more room for stuff! Of all the different things that you construct, from which do you get the most enjoyment and satisfaction from creating? I guess I enjoy the most when I come up with a new idea that makes me so excited I can’t even sleep. It’s hard to choose only one type of creation, often I have to start with something completely new every once in a while to not get bored or restless. 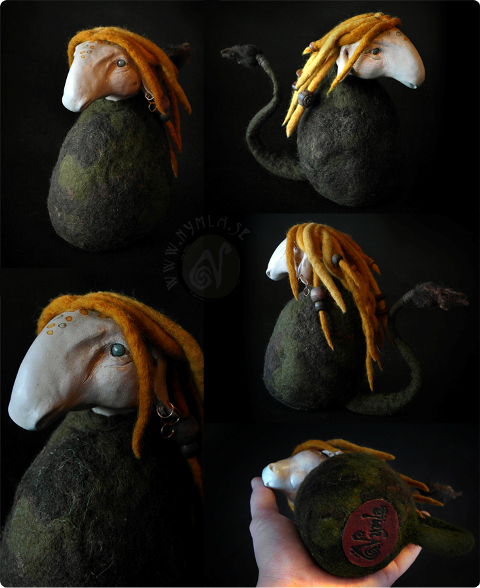 But the world of the trolls and other creatures I am planning to make are what I enjoy the most to work on right now. I’ve always been fascinated by legends, folklore, fantasy and strange things so I think I will keep enjoying that for a long time. When it comes to the construction of a larger project I probably enjoy the start and the finishing the most. At the start of a project I can be super excited, enjoying to plan the project in detail, in the middle there can be doubt and frustration but in the end I usually manage to pull it together and finishing a big project is very satisfying. The internet is stocked with your beautifully maintained social media pages. Can you talk about the importance of the internet for yourself as a freelance crafter and human being? I actually spend a lot of time updating my social media pages. 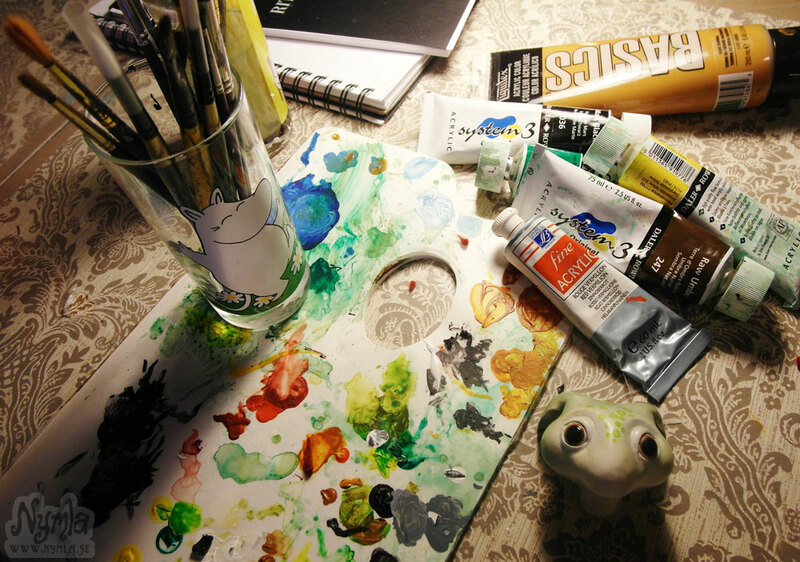 I think the internet is hugely important for many freelance artists, it is through the internet that I make the most of my sales and also where I connect with the most people. For me the internet have been a great thing, a place to connect with awesome people all around the world and find all kinds of art. There are some parts of the internet that I think are starting to have a negative effect on peoples lives, like Facebook for example. So I try to focus on the good things of the internet, like art, personal connections and spreading the word of important things. I have seen lovely photographs of you attending craft fairs, and was wondering if you have you ever taken your work to fairs outside of Sweden? Have you had any reactions to your work that you will always remember? I have, with the name Nymla, attended about four craft fairs or markets of some kind so far, all of them in Sweden. So no, I have not yet been on a fair outside of Sweden. I have thought about it though, it would be an interesting and fun endeavour I think, so maybe I will in the future. I have seen other artists attending fairs in other parts of Europe and that might be where I would start. I think the reactions I remember the best is when I have made a custom piece for someone that they are very pleased with and that is very special to them. That makes me very happy to be able to give that to someone. And of course anyone coming up to me at a fair or writing to me on the internet giving me nice comments, will always make me happy and boost my confidence and those moments I try to remember when I have a bad day or when I am in a slope. Also, when I meet people in real life that tell me they have been following my work or been to my website it always feels so cool, it definitely makes the comments I get and the people I talk to on the internet feel more real. I couldn’t help but notice a few of your creations had links to gaming. Are you a gamer yourself? I wouldn’t say I’m much of a gamer. I do play some games, I used to play a lot of World of Warcraft for example a bunch of years ago but I wouldn’t say I’m a nerd or something. I secretly wish I was more of a gaming nerd just to fit in with all the cool people I know. I have always been surrounded by friends that plays a lot of games, we used to played a lot of Silent Hill and other scary stuff. Nowadays I don’t feel I have the time to get addicted to games, so now I mostly just play some on weekends, like Mariokart or boardgames with my friends. I did watch my boyfriend play The Last Of Us recently, while I was needlebinding my beanie, that game was great, you should go play it! What are the plans for Nymla in 2015? Any special projects that we need to keep our eyes open for? I have a lot of plans for this year! Some have not yet been decided but I am definitely going to develop the world of my mystical creatures more, expanding it and bringing more beings into life. I have so many ideas! I would love to make some kind of art book with my creatures and stories, but that is right now just an idea I have, I don’t know when that could be realised.